33% OFF | Normal Price $59 One-on-one 30 minute online consultation - how to crowdfund your podcast. 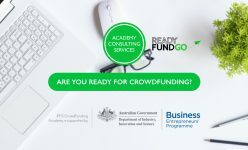 One of our consultants will provide you with advice and tips on how to build and launch your crowdfunding campaign, during a 30 minute interactive session. We discuss your rewards and how to get your campaign for your podcast off the ground. Our consultancy services provide you with advice and knowledge on how to build and launch a successful crowdfunding campaign, during a 45 minute interactive session. We will share strategies that can help get your project off the ground. At the end of the session, you will have an in-depth understanding of how a crowdfunding campaign works, and the importance of building a target audience and marketing your campaign for success. You need a team of crowdfunding experts to privately and carefully guide you through the process. This one on one consultation aims to advise you on the steps to take in order to launch a successful crowdfunding campaign. 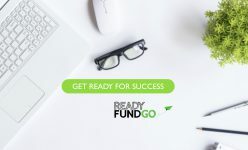 After completing an online assessment, you will have a 75 minute consultation call, with ReadyFundGo crowdfunding experts. The consultation call will seek to answer a questions regarding your project and advise you on the steps to take in order to launch a successful crowdfunding campaign. • Develop a launch plan and timeline to help increase the chances of launching successful campaign. • Reach and engage new and existing audiences.• Learn strategies that can help you bring your project to life. • Get familiar with best practices for telling a compelling story through your project video, visual assets, and more. Together, we will create a plan that works for your needs, your product and your audience. We have experience with: social media plans, pre-launch community building, promotion, press, creating a page that appeals to both existing and new customers, pricing and logistics in reward creation and shipping, video production, and more! A successful crowdfunding campaign is more than just a great page, and we will help you figure out the next steps. A SWOT analysis of your campaign is a useful planning tool allowing you to analyse and evaluate the potential of your campaign, as well as identify any challenges you may face. 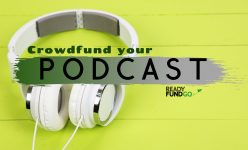 It can help determine what it will take to launch your crowdfunding campaign, by looking at the strengths, weaknesses, opportunities and threats specific to your project. You will have a SWOT document as well, delivered after the consultation call.